Banners and floor signs are an excellent resource for trade shows, events, and displaying directional information. From custom banners and banner design, to banner displays and standing floor displays to outdoor mesh banners, these options will have your next event covered. Retractable banner stands, free-standing metal floor signs with an interchangeable message area (double or single sided options available), table top banners, hanging banners, construction zone banners, metal yard signs, and more! Customize with any text, graphics or design you send us at no additional cost. Work one on one with a member of our graphic design team to create the perfect product to brand your company. If you don't see a style or size you're looking for, contact our customer service team at service@officesigncompany.com or via phone at (701) 526-3835. High quality reflective aluminum parking signs with 3M vinyl lettering - customized to include any information you need at no extra charge. 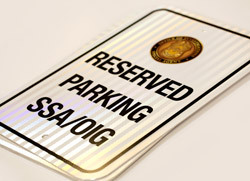 Create reserved parking signs, no parking signs, handicapped parking signs, 30 minute parking signs and more! Custom yard sign with powder-coated steel frame and aluminum inserts. Purchase components separately or as one unit. 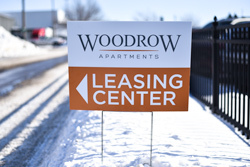 Personalize your sign with text, a logo or custom design at no additional cost. 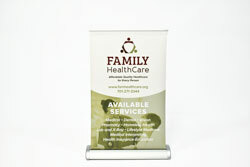 Adjustable retractable banner stands to accommodate banners 31.5"W and up to 84"H (78.5" visible area). Carrying case included for protection when transporting to trade shows, events and more. Product includes stand only. Banners sold separately. 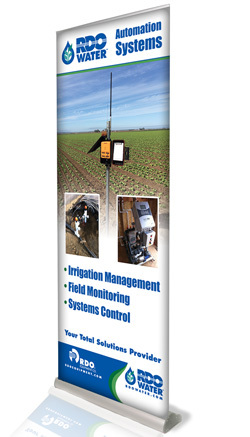 31.5"W x 84"H economical custom banner with adjustable/retractable banner stand. Very easy to install and take down. Carrying case included to help protect banner stand and banner. 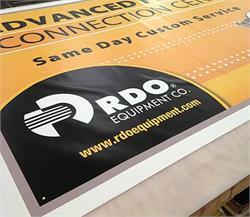 Custom printed banner included. 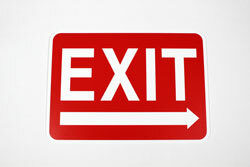 These exit signs made of high density plastic can be placed inside or outdoors to mark exits at your facility. The red and white design makes these safety signs easy to see from a distance. 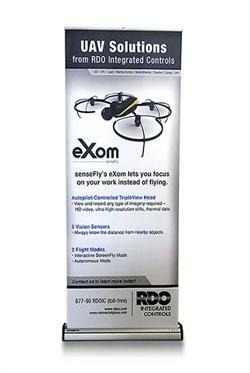 Retractable, vertical banner stands are a great option for displaying information at trade show displays. 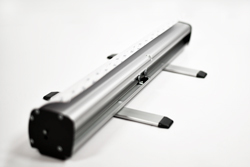 These pull up banners come with a bungee pole and graphic tensioner for easy, hassle-free setup. 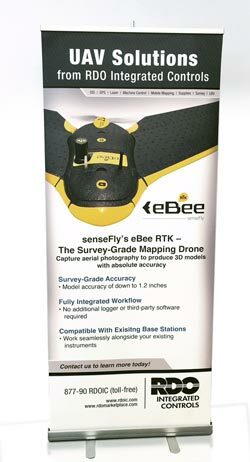 Variable graphic height and carrying case included. 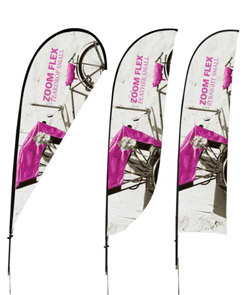 Flag Signs - Advertise you are hiring at your company, announce new services, or mark your booth at a trade show with a 9 foot indoor/outdoor sail flag. Include your logo and any custom text you need at no additional charge! 40" high attractive sign stand. 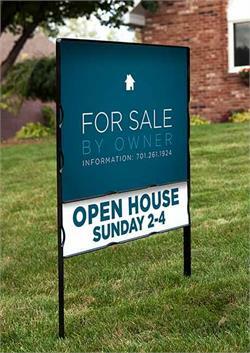 11"x17" Snap-Open sign frame secures your graphics and messages securely behind a clear lens. Easily change portrait or landscape presentation. 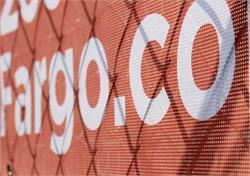 Stylish, aluminum standing message and graphic display. Dye sublimated table throws provide full-color branding opportunities without requiring additional display space. A custom-printed tablecloth is the perfect accessory to class up your trade show booth while advertising your business. Retractable tabletop banner stand with satin silver aluminum frame and graphic tensioner is a professional way to display your information. Very easy to install and take down. 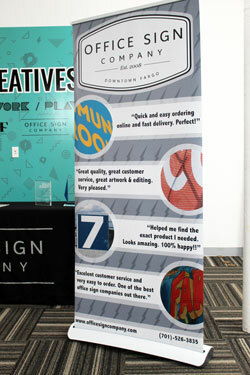 Custom, full color printed banner included. Available in 2 standard sizes. These temporary construction signs made of high density plastic are outdoor durable and the perfect way to mark short term construction sites. 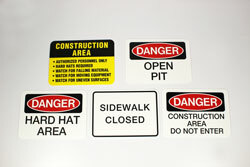 Choose from a wide variety of designs including caution signs, danger signs, restricted area signs, and more. 42" high, 1.5" diameter freestanding sign in satin silver aluminum. 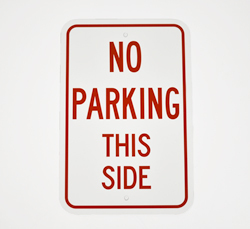 Single or double sided floor sign with removable lens for use of custom inserts and interchangeable sign inserts. 2 piece pole assembly for easy storage. Various sign sizes available. 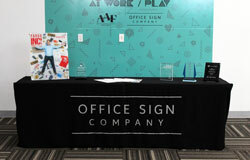 &lt;br&gt;&lt;br&gt;Office Sign Company, a Fargo, ND Sign Shop can design your banner, ship or deliver your banner displays and provide you with high quality and quickly produced custom vinyl banners.